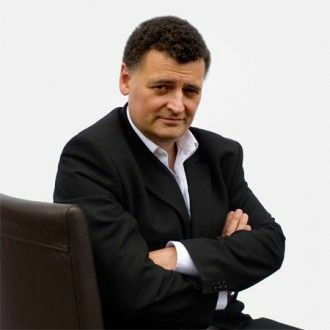 'Doctor Who' boss Steven Moffat "hates" fans who spoil plots. The chief writer of the BBC One sci-fi drama - which stars Matt Smith as the titular Time Lord - vented his anger at viewers who reveal secret plotlines, after one fan attended a press launch and then wrote storyline details on the internet before the current sixth season was aired. He said: "You can imagine how much I hate them. It's only fans who do this, or they call themselves fans. I wish they could go and be fans of something else. "I just hope that guy never watched my show again, because that's a horrific thing to do." The 49-year-old producer admitted he finds it "heartbreaking" when his hard work goes to waste, and likened revealing upcoming plots to acts of "vandalism"
Steven added to BBC Radio 5 Live: "It's heartbreaking in a way because you're trying to tell stories, and stories depend on surprise. So to have some twit who came to a press launch, write up a story in the worst, most ham-fisted English you can imagine, and put it on the internet. "The tragedy is you have to work hard at that now. Stories depend on shocking people. Stories are the moments that you didn't see coming, that are what live in you and burn in you forever. If you are denied those, it's vandalism."